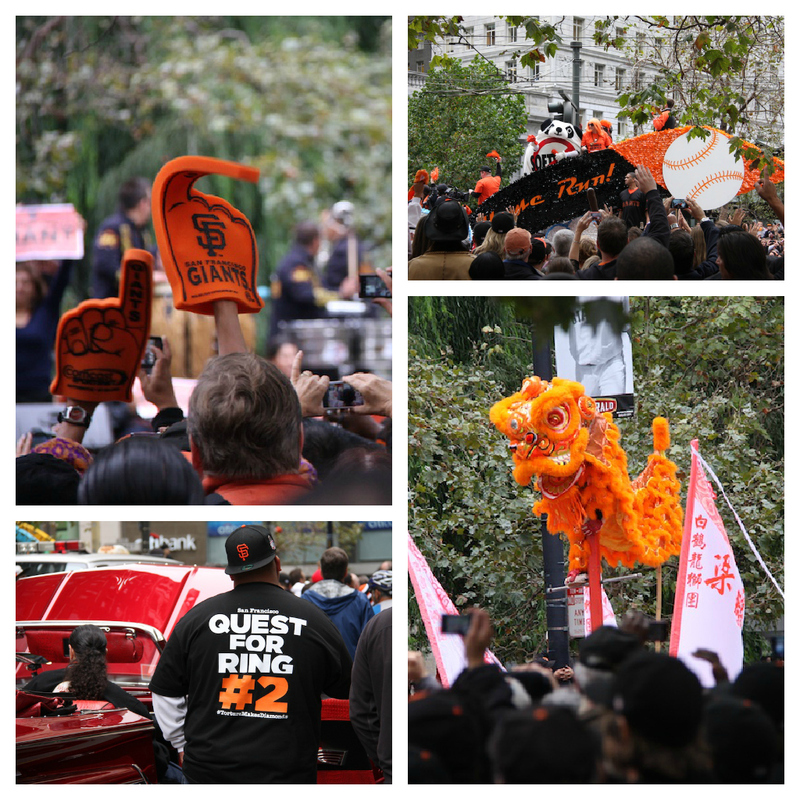 For the 1st time ever, Halloween in San Francisco actually took a backseat to something else...the Giants World Series Parade! 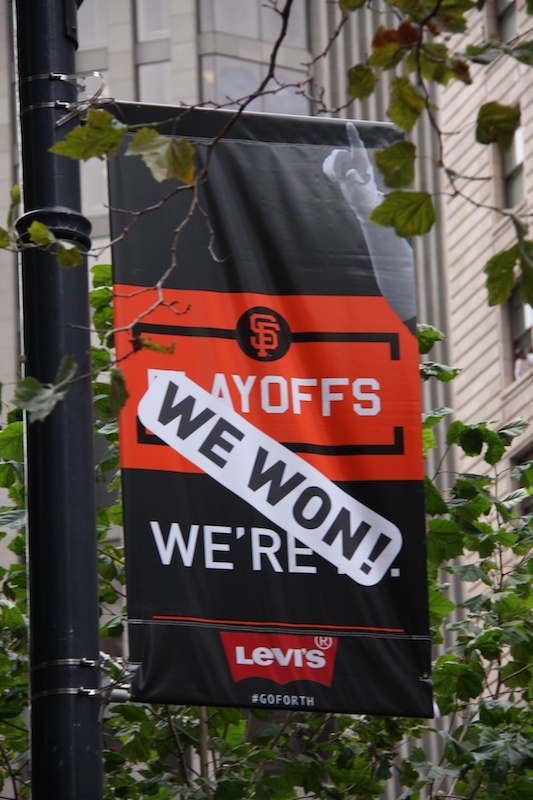 I swear there were more people here than in 2010 when the Giants won the World Series for the 1st time since they came to San Francisco in 1858. I went earlier than last time to try to scope out a better spot to stand, but...since there were more people, I actually got a much worse spot. 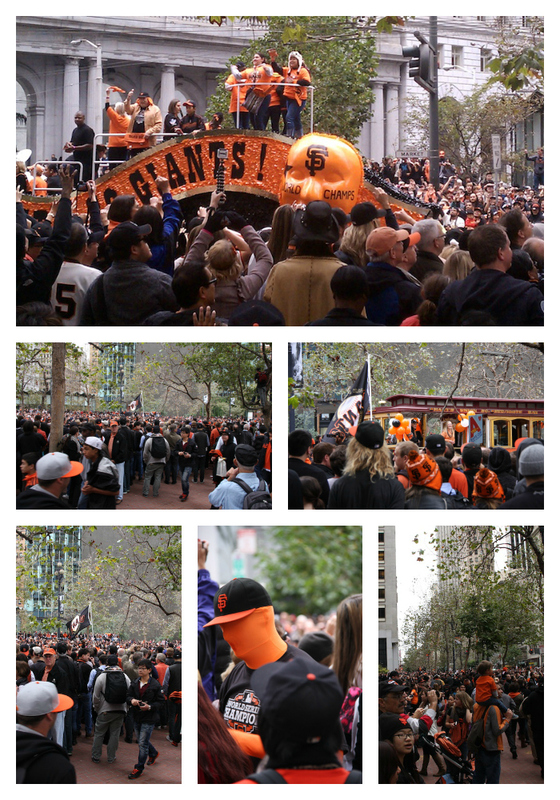 However, with all the energy in the air, it was amazing just being out there with a million other fans. 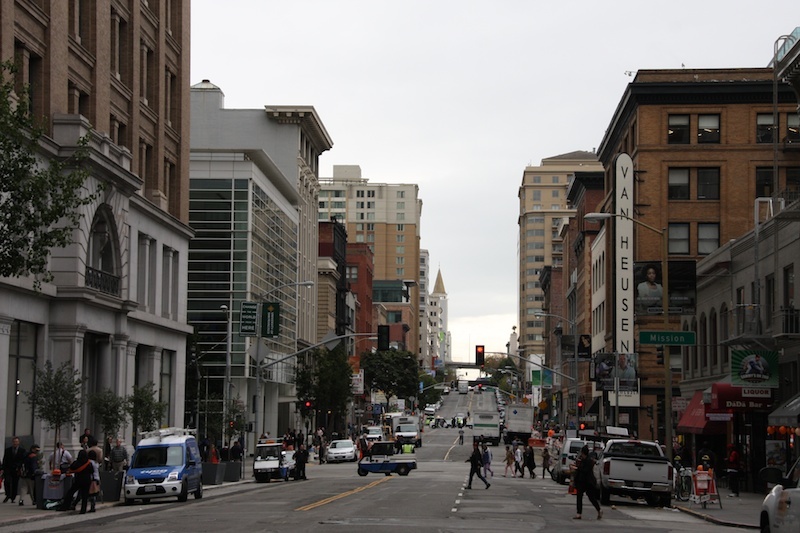 But I have to admit that after about 2 hours of people watching and not being able to see anything on the parade route unless they were in a very tall vehicle, I decided to hi-tail it home to watch the rest of the parade on TV. 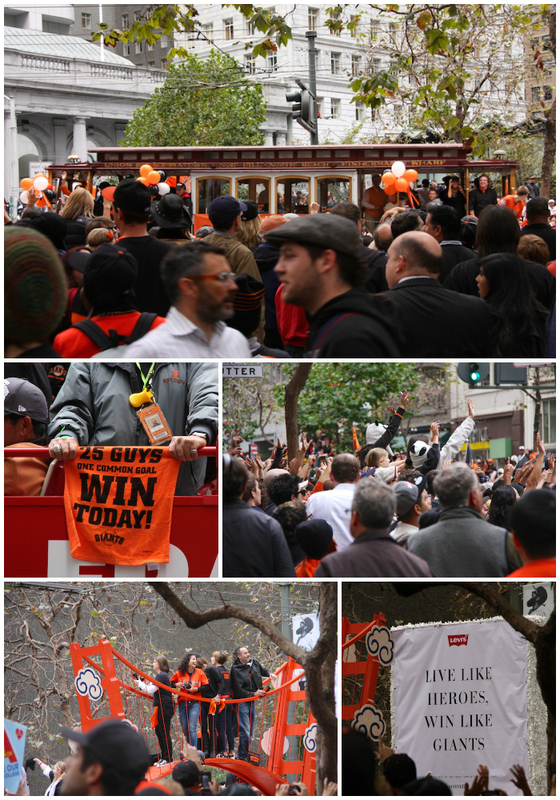 Luckily I just live 3 blocks from the parade route, up that-a-way. I knew the players would be in cars, so I wouldn't see them from where I was standing. I got home just in time to see them on TV. 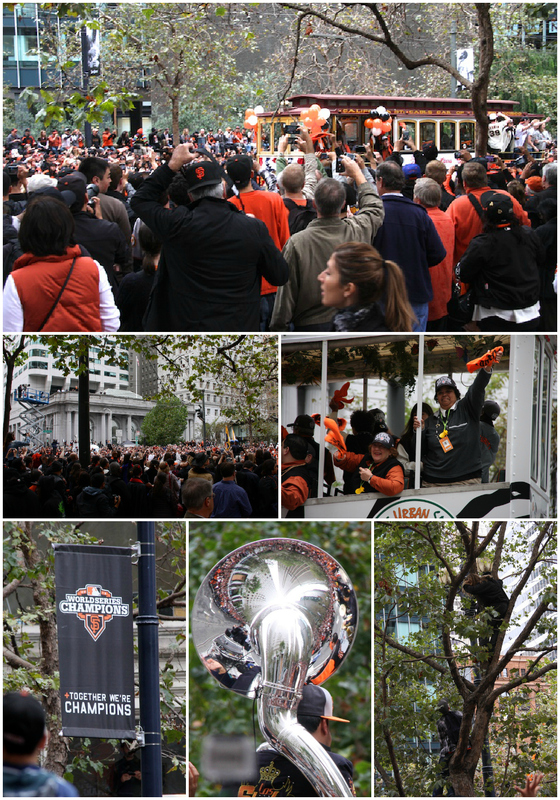 I kind of regret missing out on the confetti flying in the air because they didn't shoot the confetti cannons till they players rode by, but I'm glad I was able to see all the excited fans along Market Street dressed in orange and black.